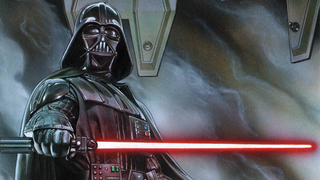 Explore The Empire's Side Of Star Wars In Darth Vader's New Comic! The Rebels have had their turn, now it's the time of the Empire to join Marvel's new stories in the Galaxy far, far away. Plus, Valiant's intriguing new sci-fi series about a Communist astronaut transformed into a god, a new Dresden Files story, and enough Graphic Novels and Collection to last you a life time.